This week’s Heavy Music HQ reviews include releases from Astronoid, Der Rote Milan, Hedfuzy, Mastiff, Ossuarium, Pulchra Morte, Soen, Sonic Dawn, Thetan, Toxik Attack, Unendlich and Within Temptation. Astronoid have a very light feeling to their music on their self-titled second full length. It is a dreamy almost shoegaze stance that is very welcome to behold. The airy mood of the band is infectious and carries forth throughout the length of the album. Fear not, there is still some heaviness to the album as the tracks carry weight to make themselves worthwhile. The band have a groove that is inescapable and very impactful. In fact, one will become entranced by the gyrations and get totally into the band. Songs like “Fault” will become ingrained in your brain. Sure, the album sounds somewhat like their first record, but I believe the band has upped the atmosphere to make their songs even more compelling. The tracks don’t overstay their welcome with many around the five minute mark, but there is enough time to create an encompassing aura. The listener will truly be feeling good after listening to these tracks and be more upbeat in mood. This is the effect of these beautiful songs. 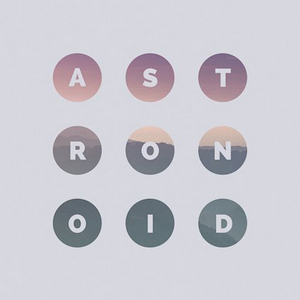 Though not unbelievably original, Astronoid is mesmerizing in its approach and style. This comes highly recommended to post metal fans that like a little shoegaze in their music. 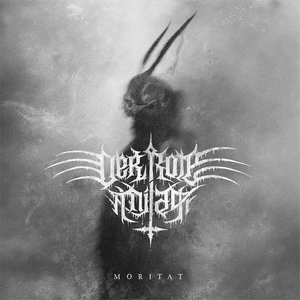 Moritat is the second album from the German black metal band Der Rote Milan. It’s a concept album about a 30 year war back in the 17th century, with one of the central characters considered by some to be the German Robin Hood. There are a lot of ebbs and flows in Der Rote Milan’s music. Opener “Die Habsucht” begins with a peaceful, dreamy acoustic intro that transforms into crushing black metal, alternating with more groovy, melodic section. Other tracks are shorter and more straightforward, like “Drohende Schatten.” The albums wraps up with the 12 minute title track, which also alternates between oppressive and crushing heaviness and more melodic and moderately paced sections. There’s plenty of variety, but Moritat also flows together very smoothly. 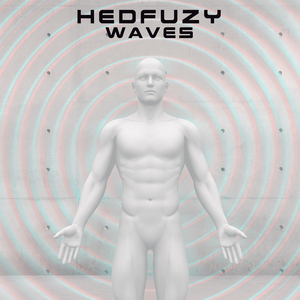 While Hedfuzy‘s self-titled debut was mostly a solo effort from Pat Byrne, their second release Waves is more of a full band effort. Byrne has a varied musical background, being in bands that have played styles ranging from rock to reggae to R&B. Waves is a progressive rock album that also has some heavier, hard rock/metal moments. The arrangements are creative and progressive, but they never neglect the basics of catchy melodies and strong hooks. Hedfuzy shift smoothly from focused tracks like “Black River” and “Brick” to lengthier, free-flowing songs such as “The Boy Who Killed The Man” and “The Promise.” Byrne’s vocals are varied as well, displaying both emotional range and power. Billed as “the culmination of a lifetime of frustration, hatred, and sorrow,” Mastiff’s debut album Plague is a massive, angry, and harrowing record. This Kingston Upon Hull quintet draw from bands such as Nails, Crowbar, and Napalm Death, incinerate the mixture, and spit it back out at us with ferocity – and a good deal of talent. 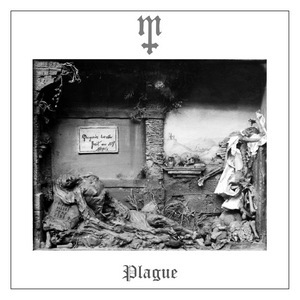 The band wastes neither time nor space: the eight songs on Plague blast through in a mere 32 minutes, and that includes the stellar signature track “Black Death,” a nine-minute missive of crusty doom recorded in one take. With hellish guitar tones, a massive, pummelling rhythm section that’s equally adept at churning doom and extreme blast beats, and some of the most evil, gargled vocals, Mastiff will destroy listeners on Plague. There is an underlying melody to some of these songs, if you can find it among the burning bodies. 20 Buck Spin has made it their mission of late to find some of the more vile death metal and Ossuarium certainly fit that mold. They are chock full of cavernous riffs and spooky atmosphere with a doom edge, making them a bit more unique than Tomb Mold and Torture Rack in that regard. 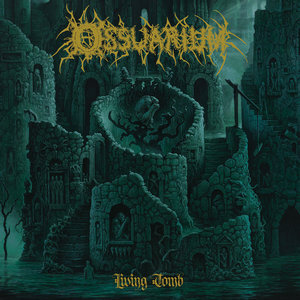 Ossuarium certainly start off 2019’s death metal run strong. 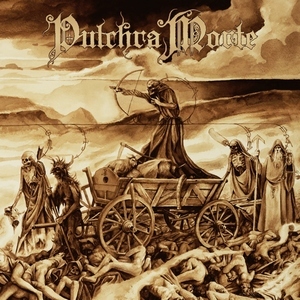 The English transition of Pulchra Morte is something akin to “beautiful death,” which tells a listener enough about the insight of the musicians involved with Divina Autem Et Aniles. This is a death/doom throwback done on purpose, a nod to bands like Novembers Doom and My Dying Bride who helped bring this style into the public’s ears. For an homage, it’s right on point. There are the obligatory female vocals on a few songs, the sorrowful cello/acoustic guitar instrumental, and the vocalist who seems to be ripping his heart out in front of the microphone with his growls; all memorable aspects of the early era of the genre. What makes Divina Autem Et Aniles elevate above some mere copycat is the attention given to the immense guitar tones that put weight on every depressed word uttered. Four albums into their career, Swedish progsters Soen have established themselves as one of the genre’s heavy hitters. 2017’s Lykaia was an honorable mention on our best of 2017 list, making expectations for their latest release Lotus pretty high. It includes a lineup change, with guitarist Marcus Jidell exiting, replaced by Cody Ford. After recording the last album in analog, Soen used a more modern production style this time around, resulting in a bigger sound. The Tool and Opeth influences remain, with arrangements that give the songs time to develop and breathe, whether it’s a mellow track like “Martyrs” or “Lotus” or a heavier song such as “Covenant” or “Rival.” Joel Ekelof’s vocals are very expressive, the music very dynamic, making for an engaging and engrossing listen. 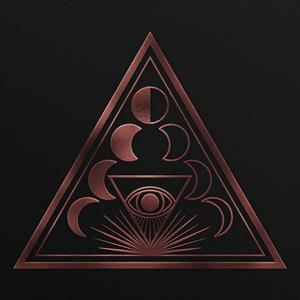 Soen have met or exceeded expectations with Lotus, which could be their strongest album to-date. Copenhagen’s Sonic Dawn take retro rock further back in time than most bands: all the way back to Woodstock, and the summer of ’69. 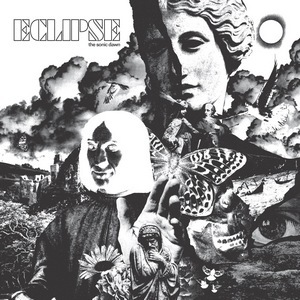 Eclipse is the band’s third album, and takes their authentic approach to the max, recording in full analog mode and using all of that age’s popular instruments, including sitar, organ, and plenty of psychedelic guitar. The thirteen songs on Eclipse are heartfelt, genuine, and effective tributes to the sounds of the ’60s, but there are scores of retro-rock bands popping out of the woodwork every day. To be noticed, you need to bring something new to the table, and aside from the excellent “Circle of Things,” nothing Sonic Dawn gives us really sticks around beyond the first listen. 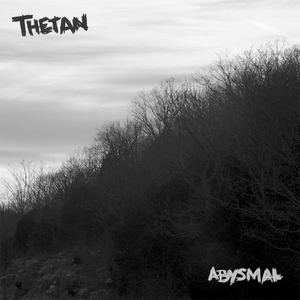 Thetan’s sophomore album Abysmal is locked into grindcore with rambunctious glee, as bassist/vocalist Dan Emery and drummer Chad L’Plattenier tear through 18 songs in 18 minutes. It isn’t until the halfway point of Abysmal that a song reaches the one-minute mark. The duo’s blunt method isn’t dulled over the course of the album, as they use sludgy tempos and spaced-out feedback for less redundancy. 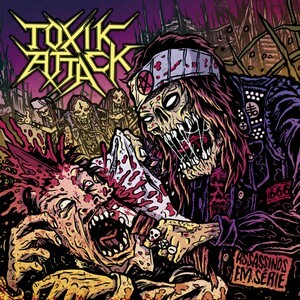 Following a demo in 2014 and an EP in 2016, Portuguese thrashers Tokik Attack emerge with Assassinos em Serie, their full-length debut. They play old-school thrash at maximum tempo with galloping riffs and searing solos. While the music and shoutalong choruses are pretty standard fare, the vocals of Nico666 display more range and a slightly different delivery than the typical thrash singer. Having the lyrics in Portuguese also give the album a bit more uniqueness, though the musical path is very well treaded one. I remember the first time I listened to Unendlich’s debut album Monarch of the Damned back in 2014 and although there were no new ideas in it, I enjoyed listening to it. Contrary to the fact that modern black metal scene mostly deals with creating heavy, multilayered atmospheres, Unendlich’s mastermind Michael Connors is looking for catchy and groovy guitar riffs, a point that is also repeated in Unendlich’s new album Thanataphobia. Thanataphobia is melodic, groovy and catchy from its very beginning and though it deals with some clichés from early to mid-’90s death metal bands, which it reminds you of Carcass’ tunes, Michael Connors has collected all of the great pieces and has assembled them perfectly. Since his music is not polished thoroughly, he has built the album’s mandatory atmosphere upon it, making a balance between death and black metal, though Unendlich are more inclined to lean toward black metal. Within Temptation‘s sound has evolved over the years, from straightforward symphonic metal to incorporating a more accessible brand of metal alongside the symphonic and electronic. They even did a cover album of pop songs (The Q Sessions) a few years back. Thus, it’s no surprise to find the mainstream elements front and center on Resist, their seventh studio album. That’s evident on the opening track “The Reckoning,” which features Papa Roach’s Jacoby Shaddix. In Flames vocalist Anders Friden brings an edge to the bombastic “Raise Your Banner” while Belgian singer Jasper Steverlinck duets with Sharon den Adel on the ballad “Firelight.” “In Vain” is one of the record’s catchiest songs, along with “Mad World.” den Adel’s performance is strong, whether she’s crooning a pop-flavored song or belting out a metal track. 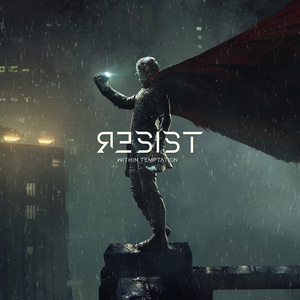 Resist is a modern sounding album that’s the next step in Within Temptation’s musical evolution. Some of their old school fans may not come along for the ride, but they’ll gain a new generation of followers.